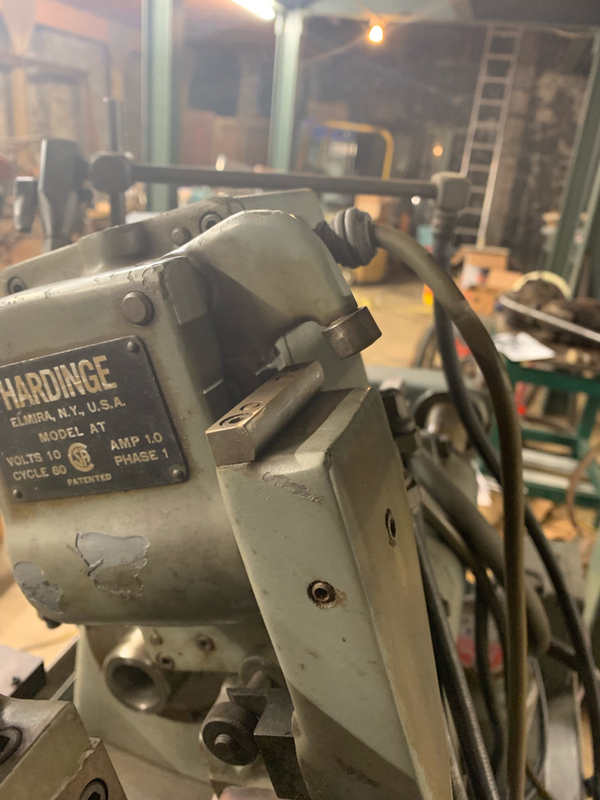 Anyone here have experience running a Hardinge HC-AT? I have mine powered up with air connected. It seems to be doing its thing but I don’t see how you adjust the amount the tool is advanced with each pass. It always seems to do 10 passes, so of course the advancement with each pass would be different for each thread pitch. I’m wondering the following. What is this knob for? Turning it seems to have no effect. Also what is this graduated dial for? And lastly how does this mechanism engage and what does it do? 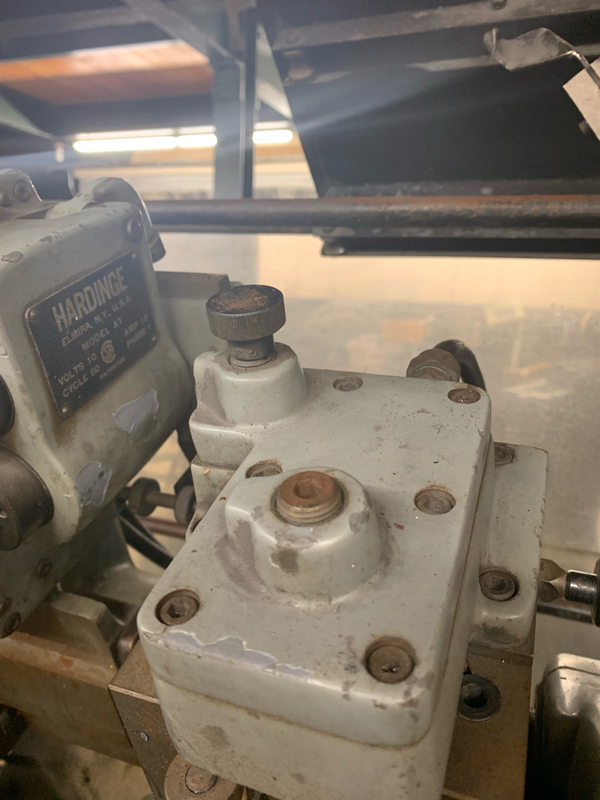 I have an original Hardinge 44 page booklet on how to operate the automatic and manual chucker threading attachments. I will sell the original, not a copy, for $25 including postage. The knurled knob sets the number of passes to the normal number or to half that. The white dial sets the normal number of passes and the single depth of thread. The book has tables of what settings to use for various pitches and materials. For instance, if the white dial is on 14, there will be either 10 or 5 passes and the single depth will be .014 inch. I’ll take it. Let me know how to pay. I sent a private message with the payment information. Got the booklet today. 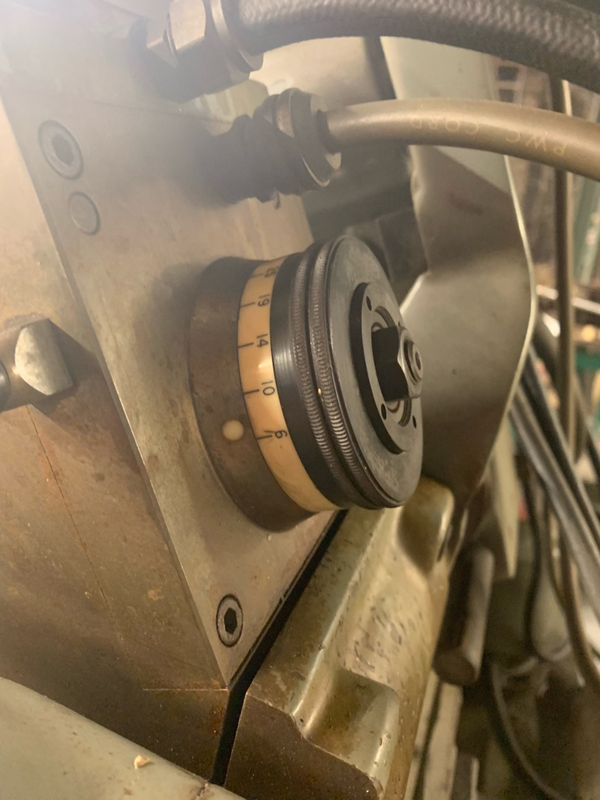 It answers a few questions and will be a helpful operation manual but I still have problems with the machine and would like to hear from anyone that has worked on one of these. For example: is the white dial supposed to rotate a bit with each pass? Mine does not and the tool is not advancing with each pass. Something is jammed up inside probably. Not obvious how it comes apart. Not a single person with experience on one of these? Wow. Maybe I should have titled the thread "Blast from the Past - HC-AT". I am medicare age and ran one of these for a couple of days back in the seventies. My boss set it up and I just pushed or pulled the start button. The boss was probably 10 years older than me and probably dead now, not sure how many people actually set them up, much less did any maintenance or repairs to them. They are a blast from the past. At another shop that same foreman ran some parts on a Tsugami chucker that was equipped with the manual version of that threader. My memory at the time was the manual was almost as fast or as fast as the Hardinge AT. Both were near CNC fast. If you get it running and need an 18 pitch lead screw no follower, I have one you can have for paying the shipping. Just get it running first.